With a reputation for being pioneers, trailblazers and customer-service driven, the City of Dublin has been on the forefront in using technology to communicate to our residents, corporate citizens, visitors – and, well, the world. Just like professional journalists, your public servants at the City of Dublin are committed to delivering timely, accurate and comprehensive information. And, yes, we do that in a variety of ways. 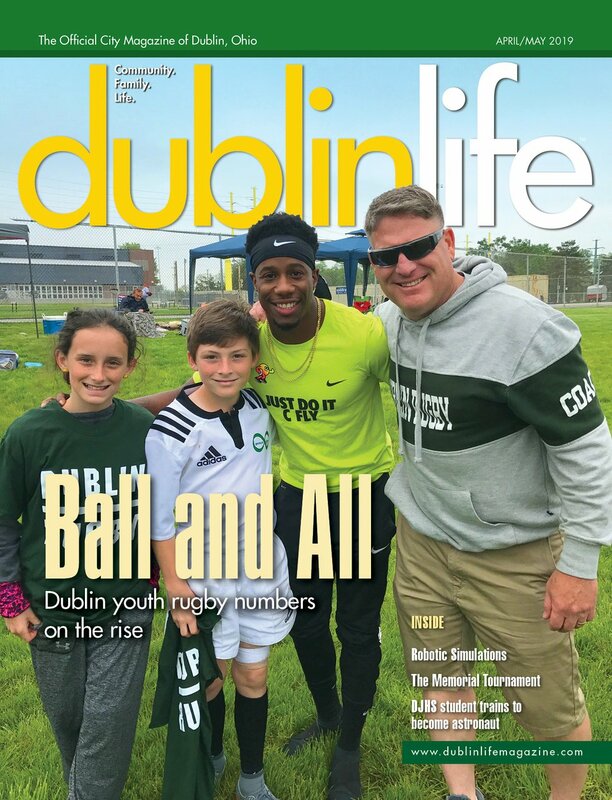 In our Community Attitude Survey, our residents said that Dublin Life Magazine and the Dublin Villager are media outlets that serve as a preferred source for local news delivered in a traditional manner: print. Our survey also gauged the interest and relevancy of social media as a news and information source. You told us you were interested in and use social media. And we validate and monitor your interest by tracking what our followers read, like, share, repost and comment about. What we in Community Relations also have learned through social media analytics is that our customers expect us to “self-publish” new information all day using a variety of social media tools. And it’s important for us to generate content that matters. In fact, Community Relations posts more Dublin news and relevant content than most local news sources combined. Of course, it’s not always about breaking news, road closures and economic development accomplishments. It’s also park features, Bridge Street District updates, events, resident profiles and, most recently, being named the Happiest Suburb in America. Your comments, questions and reactions tell us what’s important to know and what’s nice to know. We also have become a “news source” for not only our residents, but also the media. It’s not uncommon to see news about Dublin shared on the social media channels of the Dispatch, Business First and the local TV networks. Dublin City Council’s goal of enhancing community engagement opportunities combined with the City administrative focus of providing incomparable customer service motivate us to achieve great results through social media. Information is knowledge – and we’re proud to deliver that to you when and how you prefer. And as we know, there’s always something new on the horizon. What’s next? At the recent Spring Neighborhood Association meeting, Muirfield Village resident Rick Ross introduced us to NextDoor, a neighborhood engagement platform that encourages two-way communication. Several other neighborhood associations have since joined the neighborhood information network. At the annual Fall Neighborhood Association meeting, we will share how the City of Dublin plans to use this new tool – and more importantly, we are interested in learning how our neighbors are learning, sharing and talking to each other through NextDoor. This summer, the Dublin Convention & Visitors Bureau launched DCVBU – a free summer educational series for the local tourism industry and business community. The goal of the ongoing program is to educate the Dublin community on a variety of topics and current trends to market its establishments and the destination as a whole. The Bureau partnered with the City of Dublin to coordinate a panel of experts with vast knowledge of the subject matter. This year’s series focused on the topic of social media and digital marketing with discussions on different social media platforms, the importance of imagery, e-marketing essentials and more. The inaugural year of the program was a huge success with attendees and panelists from several different business sectors. As DCVBU continues to grow, the Bureau will look for new ways to engage the community with the ever changing marketing trends and tools. All Dublin residents are welcome to attend sessions. Topics and dates for the 2015 sessions will be announced next spring. For more information on DCVBU, visit www.irishisanattitude.com/DCVBU or contact the Dublin CVB at 614-792-7666.
iPhone: Not Just a Phone – focuses on specific features and how they function such as apps, social media tools, maps for driving directions, facetime, web browsing and camera. iPad Workshop – focuses on misunderstood services such as Apple’s iCloud, Siri and voice activated digital assistance.